Much like Puzzle Quest, Dissidia is a game with many faults, but faults that can be easily overlooked thanks to its engaging and addicting mechanics. Though Dissidia brings many of the best characters from the Final Fantasy series together, the story and numerous cut-scenes had me twitching over the skip button. Furthermore, fighting game fans expecting a robust move-list or *ahem* balanced fighters will be disappointed. What Dissidia does so well is breathe new life in the conservative fighting game genre. Dissidia’s unique and addicting mix-up on the fighting game, marks the first fighter that I put nearly 100 hours into. And hey, heaps of nostalgia doesn’t hurt either. 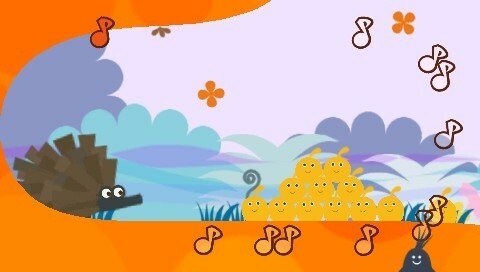 The colorful cartoon visuals and catchy nonsense-language-music of Loco Roco makes it seem like a children’s game. Of course, after you play the game and see the levels are near impossible to master, you realize this is a game made for gamers. Loco Roco 2 is the most unique platformer I’ve ever played with controls that consist of merely jumping and tilting the world. Unfortunately, the series didn’t seem to sell so good, so it’s unlikely we will ever see a version with Vita controls (which would make the game even better). If there was one problem I had with the original Space Invaders, it was that the game looked a little boring. Extreme jazzes up that classic with colorful, acid-trippy visuals... and brings the formula to the modern day! 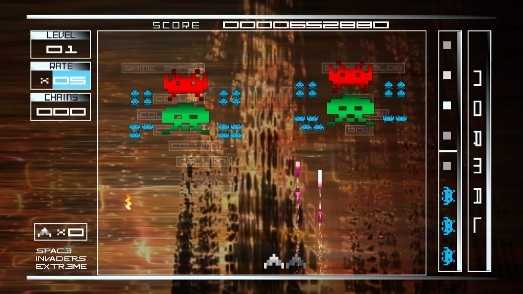 A Space Invaders game with boss battles and having your gun shot in-sync with the music is something that feels very new, but retro at the same time! It's an absolute blast to play in seconds. As far as sequels (or prequels in this case) go with the Final Fantasy series, one could not be faulted for thinking Crisis Core was another cash-grab. Instead, everything about this game (well, almost) shines with quality. I think the best first step was not trying to mimic FFVII. 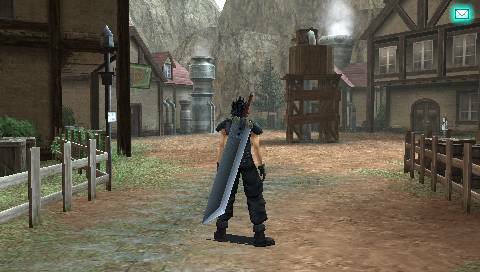 Crisis Core focuses on the story of Zack Fair and does a really good job with it. The ending - which any FFVII fan worth their salt should already know - remains among the best presented I’ve seen in a game. It's still the best Final Fantasy since its release. I’m not sure how this game holds up, as I haven’t played the game in years (about 7 years I think!). What I can recall for sure, was that I had a damn fine experience with it. It had an engaging story (for me) and a really cool take on the SRPG genre. Playing this game at the time put me in awe of just how powerful the PSP was. I couldn't believe I was this close to playing a PS2 game on my handheld! Metal Gear Ac!d has come to be my defining PSP game which earns it No. 1 on my list. I only just started playing this game after I posted Part One of this blog. It’s the closest thing I have played to an FF Tactics-clone and that by all means is a ringing endorsement. Honestly, it’s likely good enough to make it into my top ten. Still, it’s too early to tell and I have no problem leaving it out of a list already overstuffed with SRPGs! This was another one of my early PSP games. My memories are little fuzzy with this one and given the amount of déjà vu I got playing the game, I imagine some of those memories overlap into the Liberty City of GTA III! Anyway, I remember this one being almost on par with the great console GTAs.